Swosti Travels: Land of Scenic Serein & Sublime - "Odisha"
Land of Scenic Serein & Sublime - "Odisha"
Odisha, formerly known as Orissa, state of India is located on the south eastern fringes of the country. 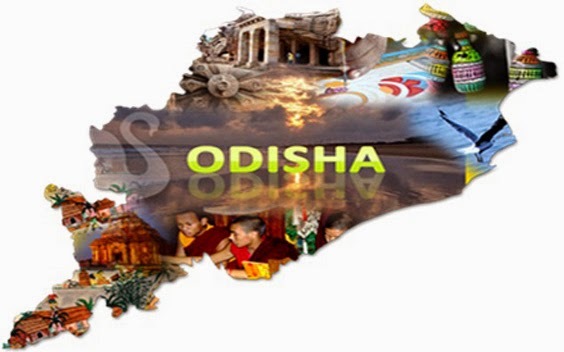 Odisha is a glorious state with unspoilt shores, sprawling lakes, rich backwoods, abounding untamed life, eminent landmarks, colourful painstaking work, 62 conventional tribes, brilliant fairs and celebrations. It is a place that is known for exceptional memories, & has relatively undiscovered and moderately unexplored, beautiful places. Odisha has a history more than a period of 5,000 years. Previously Kalinga was named as Udra or "Odra Desa". The Ancient Odra desa or Ordesa was limited to the valley of Mahanadi and to the lower course of Subarnarekha River. Odisha is a fortune place of nature. More than 37 per cent of the land is secured with thick and dense forests. 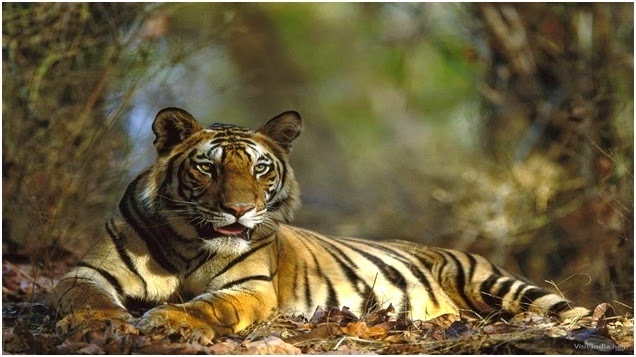 There are two National Parks – Similipal and Bhitarkanika and more than twenty-two sanctuaries. Similipal is one of the top tiger reserves in the two mangrove forests of India and is rich in Crocodile population and migratory birds. Chilka Lake, the lagoon is well-known wintering site for migrating birds, approximately half of the over 211 species recorded at Chilika are intercontinental migrants from far parts of Asia, including the Caspain Sea, Lake Baikal and Siberia .The lagoon is also only one of two lagoons in the world that is home to the Irrawady Dolphin. Its rich biodiversity, along with the beautiful scenery of the area, attracts many bird watchers and eco-tourists.The Gharial Sanctuary at Tikarpada, the Olive Ridley Sea Turtles in Gahirmatha Turtle Sanctuary, wildlife sanctuaries of Chandaka and Nandankanan Zoological Park also feature on the list of avid nature watchers. 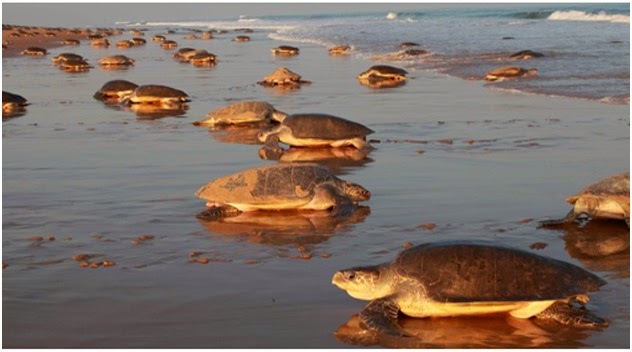 Odisha has a beautiful and enriching 480 km long coastline. Extending from North in the west Bengal to down South touching Andhra Pradesh. It is abound with beautiful and unspoilt beaches. The beaches of Odisha at Chandipur, Konark, Puri, Gopalpur, Paradeep, Pati Saonapur, Balighai etc are rated among the best. There are a plenty of fairs and celebrations, celebrated with ceremony and mirth in every alcove and corner of Odisha. Rath Yatra of Puri is perhaps the grandest festival of Odisha that attracts pilgrim tourists alike. 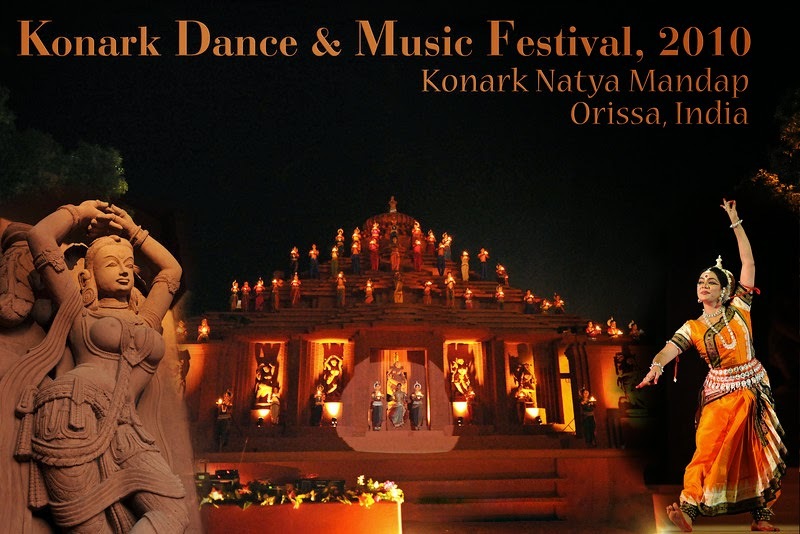 Festivals like Konark Festival, RajaRani Festival, Shreekhetra Festival, Kalinga Mohastava, Baripada Chhow Festival, Samabalpur Folk Festival, Konark Tribal festival are theme based tourism festivals which have become a major attraction for tourists. Odisha is essentially known for its rich society and the humongous number of beautiful temples. The temples of Odisha conform to the Indo Aryan Nagara style of structural planning, with unique peculiarities specific to this region. The best among of these are the Jagannath Temple, Puri, Lingaraja Temple at Bhubaneswar and the Konark Sun Temple. The sanctuaries of Odisha show a majestic grandeur. 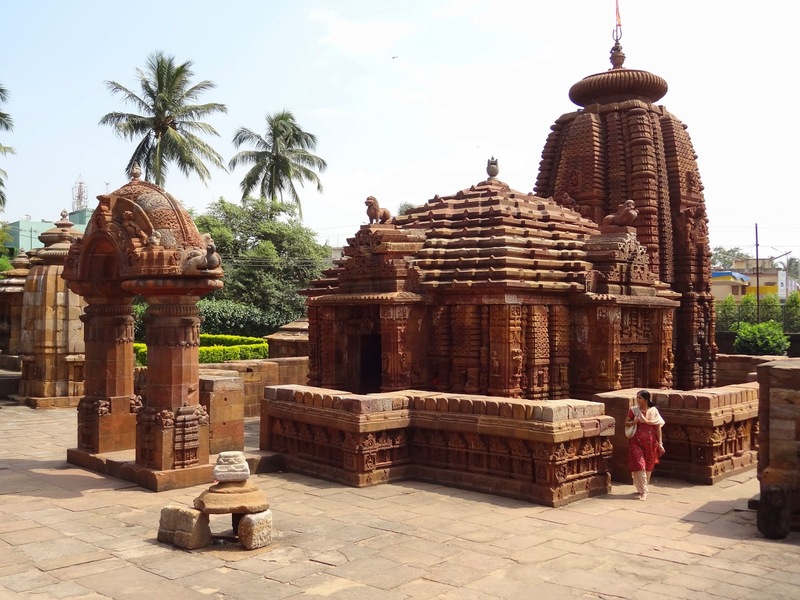 An Oriya temple (Deula) usually consists of a sanctum, one or several front porches (Jagamohana) usually with pyramidal roofs, a dancing hall (Nata Mandira) and a hall of offerings (Bhog Mandira). Odisha is also well known for its Buddhist and Jain pilgrimage destinations. The Buddhist Circuits of Odisha comprising Ratnagiri-Lalitgiri-Udaygiri-Langudi have been integrated with Dhauli for development of the region. A peace park and amphitheatre at Dhauli is being created. Apart from this the greatest Buddhist Monastery in south Asia, which is in Gajapati District of Odisha is worth seeing because of its rich aesthetic qualities. Reality blended in rich shades you find it amazing. Raghurajpur close to Puri has been assigned as a country tourism centre, the first of its kind in India, for the advancement of indigenous craft and artworks, known for its master Pattachitra painters. Apart from that the town is additionally home to specialties like Tussar works of art, palm leaf painting, stone and wood carvings, wooden, Pipli appliqué work, tribal painting, dhokora work, terracotta, palm leaf engraving work and brass and bell metal work. Orissa had a rich tradition of producing ‘ikat’ fabrics. The product of Orissa handlooms are second to none and are exquisite and artistic and have been welcome in foreign markets. Some of them are Bomkai Silk Saree, Bomkai Cotton Saree, Tussar Saree, Sambalpuri Ikat Cotton Saree, Sonepur Red Pasapalli Silk Sareefamous in the international market. Added to these there are enormous options for adventurous activities that include wind surfing, swimming, hiking, camping, never leave you short of fun and adventurous memories of a splendid vacation.